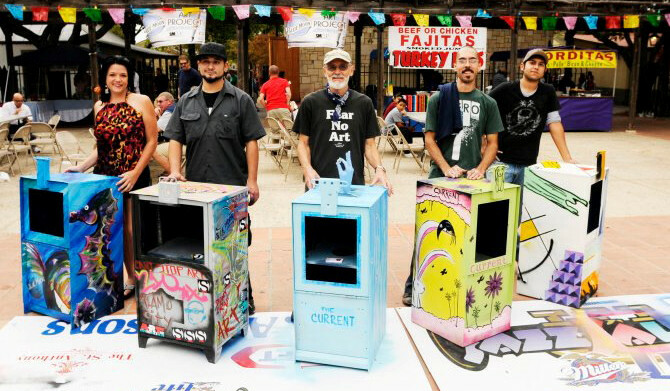 Art Haus @ Pour Haus: TURNING 3! Booth # 47 Over 250 artists! "Tribal Market Day", the 4'x 8' painting is on exhibit. 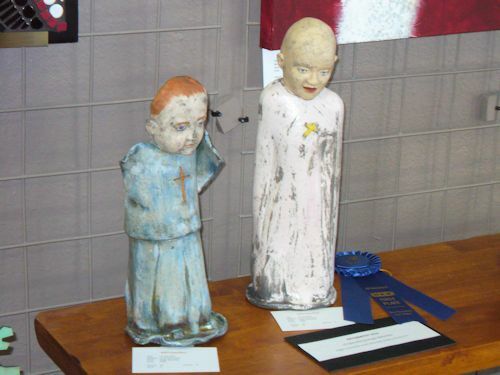 2 raku artworks accepted into the show. on the Square in beautiful San Marcos. Booth # 48 Over 300 artists! Sunday, March 22, 2015 9a.m.- 3 p.m.
March 21, 2015 7- 9 p.m.
"Heart Armor # 20" will be in the silent auction. Meet the beautiful alpacas and Jacob sheep on the ranch tour. yarns, supplies, and wonderful handmade items available. Several other artists will be on site and I will have yarn bowls. Please come to the countryside for a relaxing day! From Marble Falls: Take 281 to Burnet. Cross over Hwy 29 and go past Mc Donald’s. At the light, make a right onto Graves Road (963). Go 7.4 miles, past the sign to Lake Victor. turn right at mailbox with 1201 on it. Come down drive. Workshop is on the left. Booth # 52 Over 300 artists! 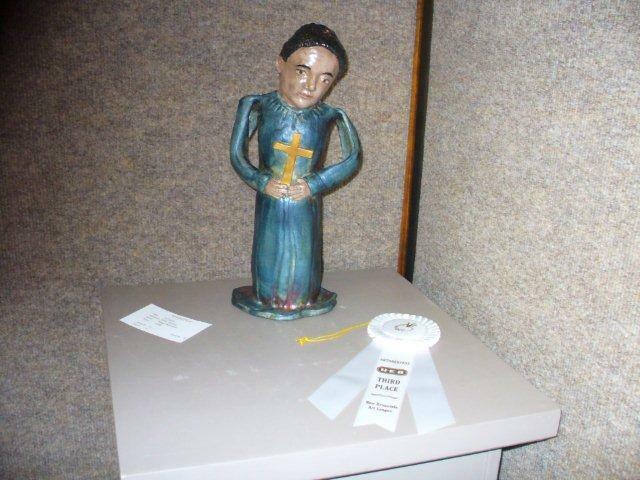 My "Lil' Saint" won 3rd place in the Artoberfest show on Friday night. "Ripped" was also juried into the show. The judge liked the Medieval quality of the figure. 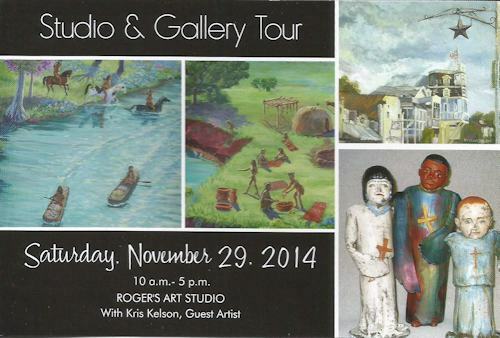 Listen to some fine music and view fine art and craft. Along with my clay work, I will be constructing a "Tree of Life" with the help of the community. Come join in the creativity. 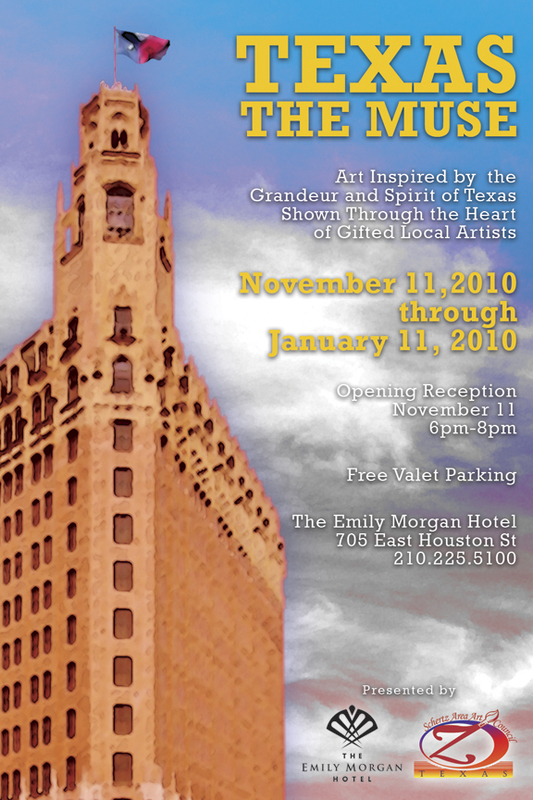 That evening at the Texas Theatre, 6-9 pm, I will feature one artwork at a very special price. Please come! 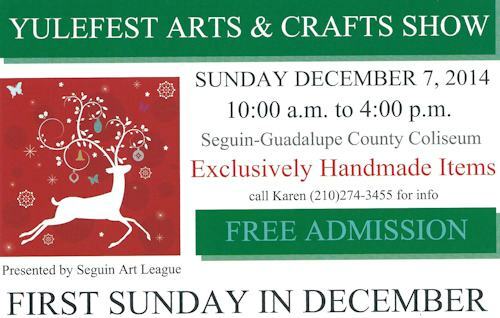 Show Time: 10:00 a.m. – 5:30 p. m.
Saturday, November 26, 2011 10am- 5pm. Saturday, October 29, 2011 10am- 5 pm. Hands-on-demo: "Making a pinch pot"
"Volcanized", "The Queen", and "Grace" are in the show. Opening Reception for the public from 3 to 5 PM Sunday, Aug. 7. Three Hours of creative madness!! CROSSROADS OF HOPE Art Show @ Tri-Point, 3233 N. St. Mary's off 281 North in San Antonio. SAHA @ 818S. Flores St.
Texas Theater @425 N. Austin St. 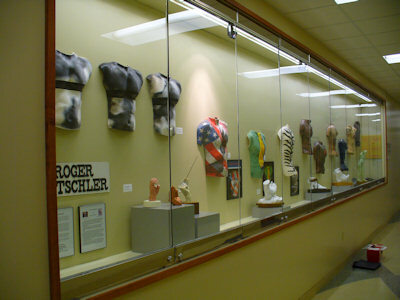 Continuous showing of selected artworks. Saturday, November 27, 2010 10am- 5pm. Three of my artworks will be shown in this group show. Saturday, October 23, 2010 10am- 5 pm. September 30- November18, 2010 "I Scream!" 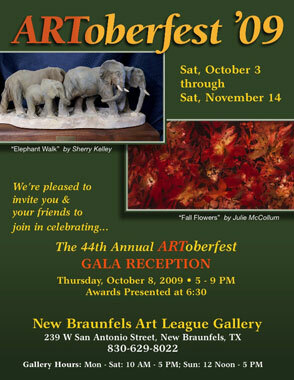 Reception: October 21,2010 6:30- 9 pm. Several of my masks will be featured. September 30- October 25, 2010 Reception: October 2, 2010 6-8 pm. 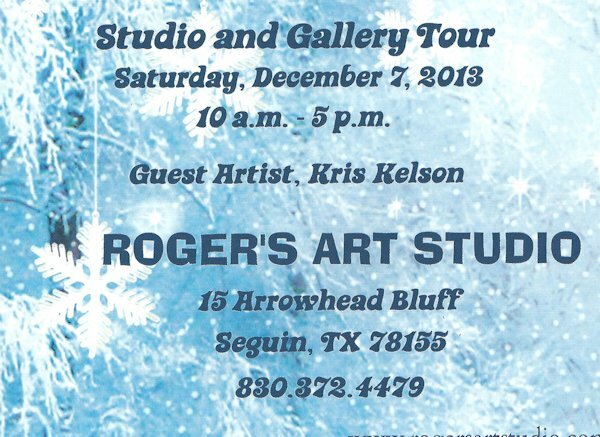 "Molten Blue" has been accepted into this show. Reception: Sunday, September 12, 2-6 pm. 3 paintings in this show. "Molten Blue" and "Native Honor" on display. Raku clay torso "Dragonfly Warrior" on exhibit. HAITI BENEFIT ART AUCTION at the Silver Center in Seguin. Reception 5-6 pm. Live auction 6-8 pm. 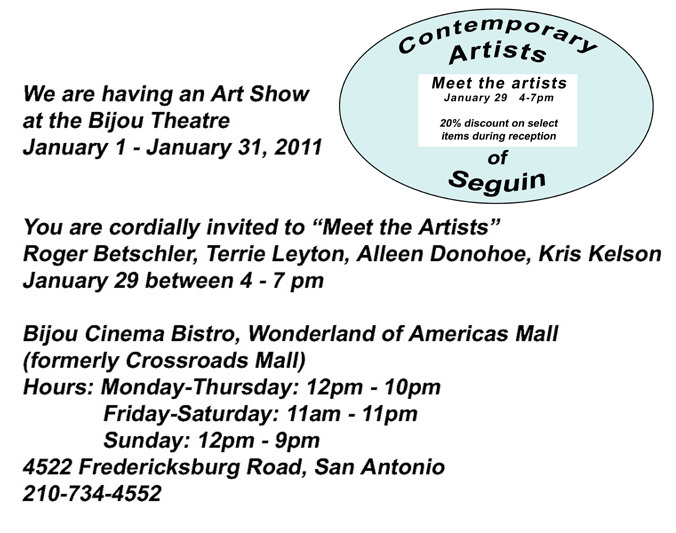 Please support the Seguin Art League in this mission. 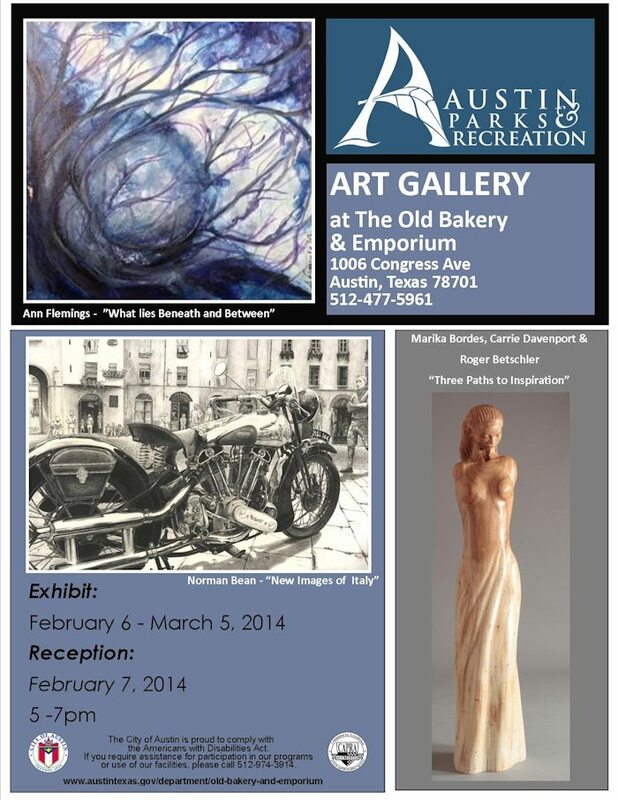 FOR LOVE OF ART at Austin Art Space,7739 Northcross Dr. Ste. Q, Austin, Texas. Reception on Friday, February 12, 6-9 pm. "Key to my Heart", a ceramic torso, has been include in this show. 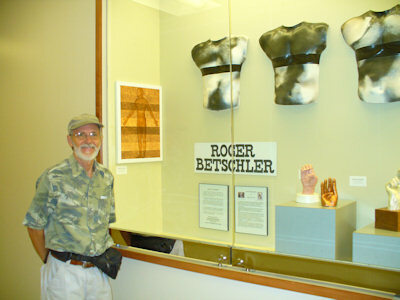 Raku clay torso "COPPERIZED" on exhibit. Please visit this page again soon for more information. Thank you!